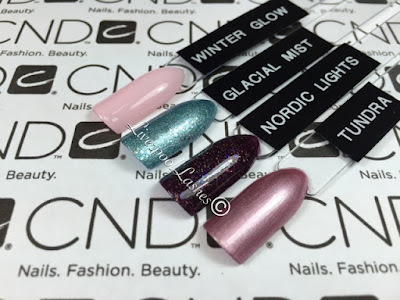 When I saw the new CND Aurora Collection, I was blown away. 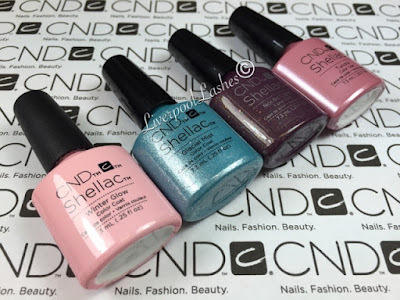 I hear so many nail techs asking for Shellac glitter shades that having two fantastic shades released today was just an overload! This collection is launching worldwide on the 1st September 2015. 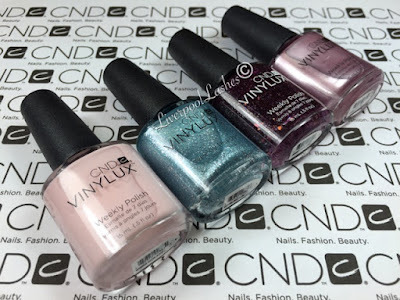 The CND Aurora Collection consists of four new CND Shellac shades along with the matching CND Vinylux colours. There is not a new collection of Additives as the Contradictions Collection Additives were designed to perfectly pair with these new colours. Glacial Mist - A mid toned blue glitter with hints of silver. Nordic Lights - A deep purple with finger and chunky glitter in every Colour. Tundra - A dusty rose metallic. I'm actually so glad that they're part of the permanent collection as otherwise I would have had to buy a few back ups of each shade this time around! 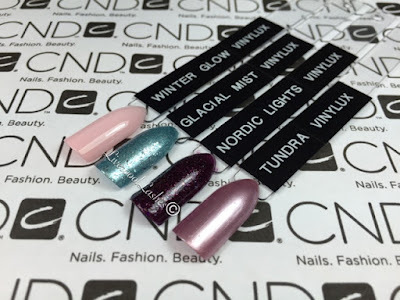 I'll be honest, initially I was focusing on the two glitters, Glacial Mist and Nordic Lights but I know that Winter Glow and Tundra are also going to be huge hits with my clients. 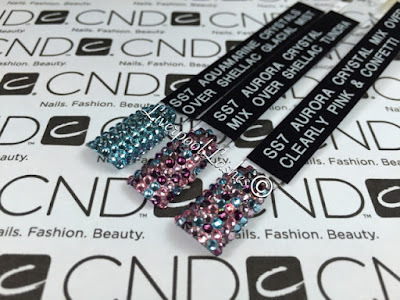 I filmed the video at Creative Academy+ Manchester and whilst I was there I spotted the new Swarovski Crystal packs that are complimenting the Aurora collection and completely exclusive to them. Orders for the crystals only can be placed by contacting them on 0845 2000 311. Here is my video to introduce each shade to you as well as comparing them to the existing colours. I do hope you find it useful.